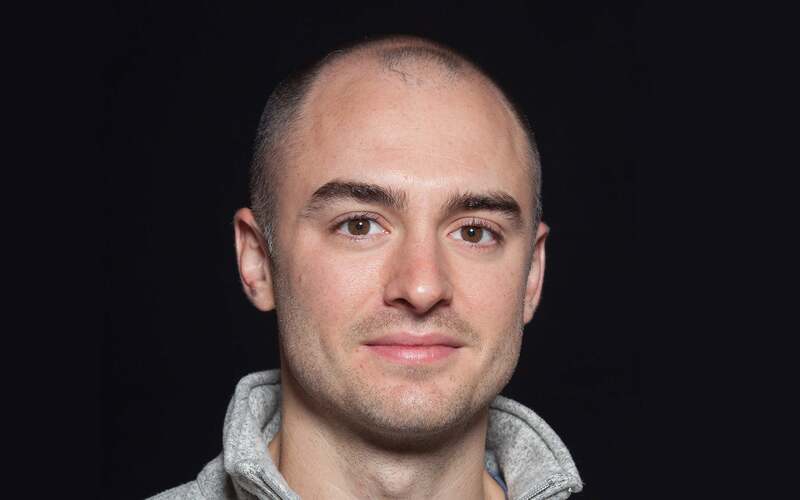 Cold Spring Harbor, NY — Cold Spring Harbor Laboratory (CSHL) congratulates Ian Peikon, winner of the prestigious 2015 Harold M. Weintraub Graduate Student Award announced this week. On April 19, 2015, Peikon will graduate from CSHL’s Watson School of Biological Sciences where his studies focused on developing innovative and affordable methods to map the connections between neurons in the brain. A Long Island native who went to Bethpage High School, Peikon came to CSHL in 2009 with a BSE in Biomedical Engineering from Duke University. He recently joined Google X, where he is a hardware engineer. “The environment that the Watson School and CSHL fosters is one of extreme camaraderie. Not every place would accept an engineer who barely knew what a gene was into their biology Ph.D. program. And there is likely no other place in which expert molecular biologists would be willing to patiently sit down and explain biology to that engineer. But that happened on a regular basis at CSHL,” explains Peikon. “Ian is truly spectacular. He maxes out in both creativity and effectiveness. He is constantly coming up with new ideas and approaches. Some are brilliant, some are crazy, but all are fun,” said CSHL Professor and CSHL Neuroscience Program Chair, Tony Zador, M.D., Ph.D. In his graduate studies, Peikon developed methods to determine the “connectome,” a map of connections between all of the neurons in the brain. A full connectome is a major goal of systems neuroscience. Currently, the highest-resolution maps of neural connections have been compiled from electron microscope data, which cover small areas and take a long time to generate. Building on an idea from his thesis mentor, Zador, and with important contributions from his Watson School colleagues Dr. Hassana Oyibo and Justus Kebschull, Peikon decided to adapt the scalable, fast, and cheap technology of next- generation DNA sequencing to the task of mapping neural connections. In order to use DNA sequencing to detect synaptic partners, the team needed to develop entirely new methods. They built a system of synaptic proteins that would bind unique RNAs within each neuron—a cellular barcode—and then join the RNAs from two connected neurons and sequence them. Many of the steps were problematic. Peikon’s strong background in engineering, a lot of creativity, and ultimately his perseverance, led him to success. Peikon’s strategy is now being tested in an animal model—to see if the techniques work in a whole organism the way they have worked in neurons grown in a dish. Peikon has adapted his technologies for use in the model organism C. elegans, the common roundworm. Adult worms have only 302 neurons, and their connectome has already been mapped using electron microscopy. They are a good test, therefore, for Peikon’s high-throughput connectome method. After the worm, Zador’s lab at CSHL will consider more complex brains, and ultimately mice, the most widely used model for understanding human neural circuits and behavior. The Watson School of Biological Sciences was established in 1998, and its innovative, accelerated approach to graduate training is now a model for higher education in the life sciences. The school’s April 19 Commencement Convocation celebrates CSHL’s 125- year anniversary. Honorary degrees will be awarded to: Hanna Holborn Gray Ph.D., former President of the University of Chicago; Charlie Rose of PBS’s “Charlie Rose Show” and “CBS This Morning”; and David Sainsbury, Lord Sainsbury of Turville, F.R.S., Chancellor of the University of Cambridge. Previous CSHL graduates who received the Weintraub Award are: Dr. Amy Caudy (’04), Dr. Zachary Lippman (‘05), and Dr. Yaniv Erlich (’10), all of whom now lead their own research laboratories. Dr. Lippman is a plant biologist at CSHL. Dr. Erlich has recently joined the New York Genome Center, a collaborative venture of which CSHL is a founding member. Dr. Caudy is an assistant professor at the University of Toronto.